Deepika Padukone, Dia Mirza, Sonali Bendre wish speedy recovery to Tahira Kashyap. 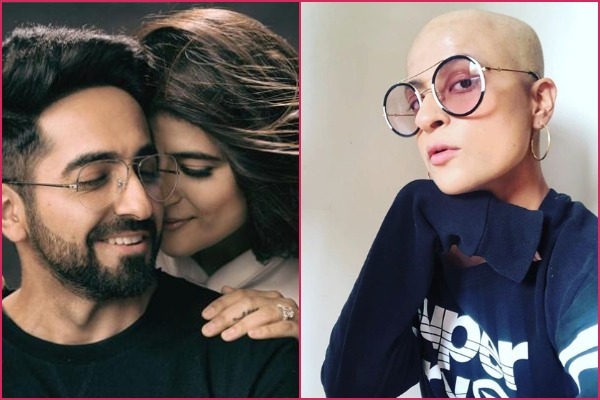 It was just a few months ago that actor Ayushmann Khurrana’s wife and filmmaker Tahira Kashyap had revealed that she was diagnosed with “stage 0” breast cancer and underwent a mastectomy procedure. In an optimistic Instagram post, Tahira said she was “detected with DCIS (ductal carcinoma in situ) in my right breast with high grade malignant cells”. “Simply put stage 0 cancer/ pre-cancerous stage, with cancer cells multiplying in a contained area. The result I have become a half-Indian version of Angelina Jolie (since only one breast was involved)! I told my doctor now is the time to give some competition to the Kardashians since Pamela is passé. But no one listened to me, so now I have a portion of my back tissue in my breast. Perhaps now I can do chin-ups with my breasts!” she wrote. She has been quite open about her journey to battle the disease with several positive messages. Tahira shared new pictures on social media which show her with head shaved. Tahira is sporting a radiant smile on her face while flaunting her new look. Ayushmann has been a constant support to her during this hard time and he often shares her pictures on social media. After she got shaved Ayushmann shared Tahira’s empowering post on Twitter and calls her “hottie”. Bollywood celebrities including Hrithik Roshan, Neha Dhupia, Deepika Padukone, Sonali Bendre shower love on the courageous woman and praised her on her new look with motivational comments. Not just Tahira, earlier actress Sonali Bendre, Manisha Koirala, Lisa Ray also fought with cancer and embrace their bald looks like a boss and become inspiration for their millions of fans across the world. We wish Speedy and complete recovery to Tahira Kashyap….